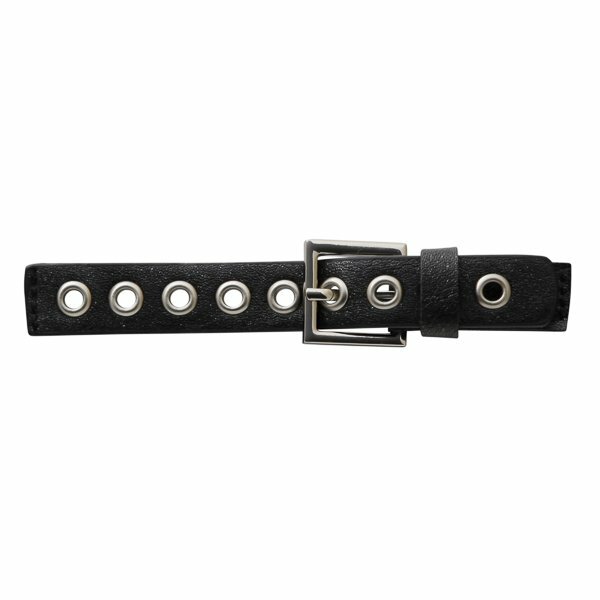 Go from business to biker chic with our moto-style single row footband embellished with a metal buckle and grommets. 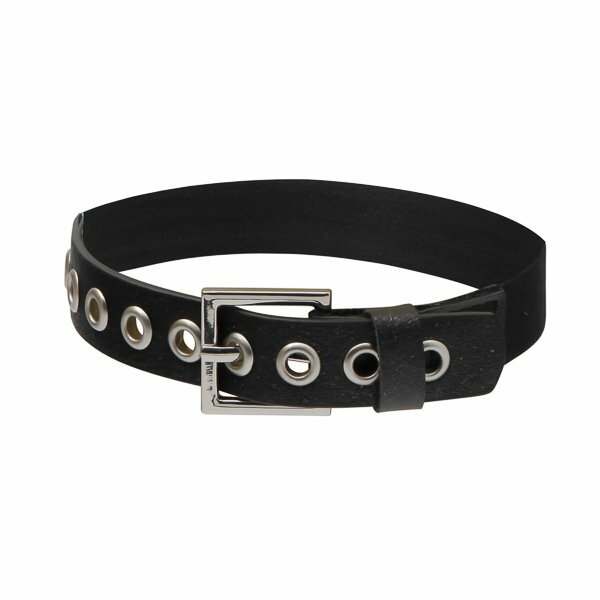 Simply slip the band around your foot, step into your high heels and hit the town! Rebel Jane Shoecessories™ are made from 100% vegan leather, embellished with a slender metal buckle and grommets; it is backed with black PU with a soft black elastic band. Measure ½” wide. Fits most size feet.